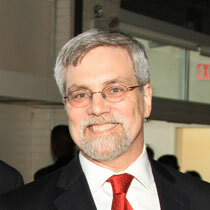 Marc joined NCLEJ in 1996, and served as Director of Litigation for 18 years before becoming Executive Director. In 2019, Marc returned to the Director of Litigation position. He came to NCLEJ following nine years as Director of the Government Benefits Unit in South Brooklyn Legal Services and 16 years in impact litigation in various legal services programs. He has served as a leading counsel in many of the major economic justice cases across the country, developing new strategies and legal arguments to impel systemic reform; challenging laws that punish poverty; and spearheading major initiatives to advance the civil rights of low-income communities. At national and regional conferences, he has trained legal advocates around the country in policy advocacy, negotiations, and litigation. Marc has co-authored many articles for Clearinghouse Review and other publications and has written numerous self-help materials and manuals for advocates. Marc was recognized by the Bar of the City of New York as one of the Legal Services Lawyers of the Year in 1996. In 2000, he won the New York State Bar Association Denison Ray Award for his extraordinary commitment and leadership. He is a graduate of Brooklyn Law School and Brooklyn College.